Audrey Glickman recalled the terrifying Saturday shooting that killed 11. 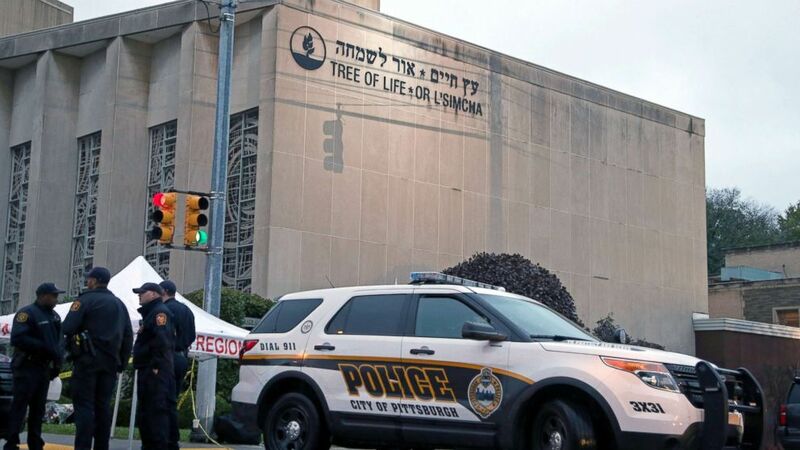 Audrey Glickman was leading an early morning service inside Pittsburgh's Tree of Life synagogue when gunfire broke out Saturday. As a gunman carried out an anti-Semitic mass shooting inside the house of worship, Glickman and the others with her ran and hid. Still holding their prayer books and wearing their prayer shawls, they ensconced themselves in a room with a window in the door, Glickman told ABC Pittsburgh affiliate WTAE. "We were trying to disguise ourselves as, as bags of clothing in a room of bags of clothing," she told WTAE. "We wanted him not to have a reason to come in." "We heard the gunfire and we heard the sirens and we didn't come out until both seemed to have stopped," Glickman told WTAE. 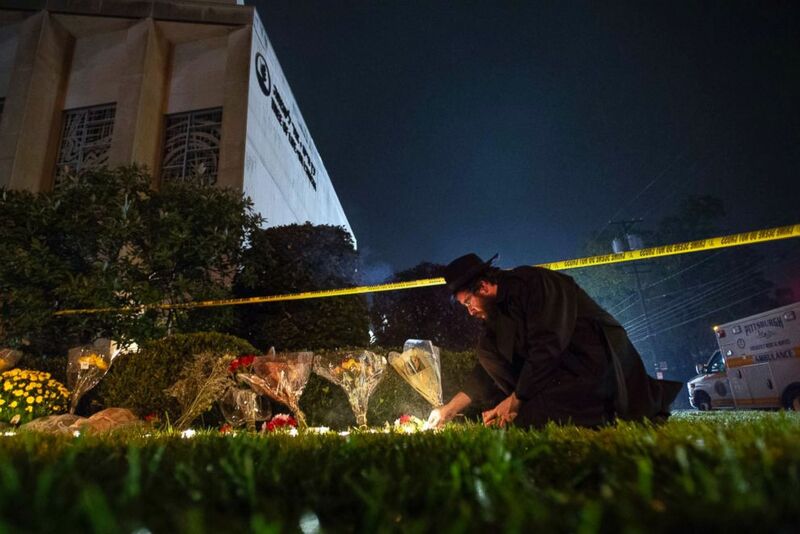 Eleven members of the Tree of Life synagogue were killed in the massacre. (Steph Chambers/Pittsburgh Post-Gazette via AP) Rabbi Eli Wilansky lights a candle after a mass shooting at Tree of Life Synagogue in Pittsburgh, Oct. 27, 2018. 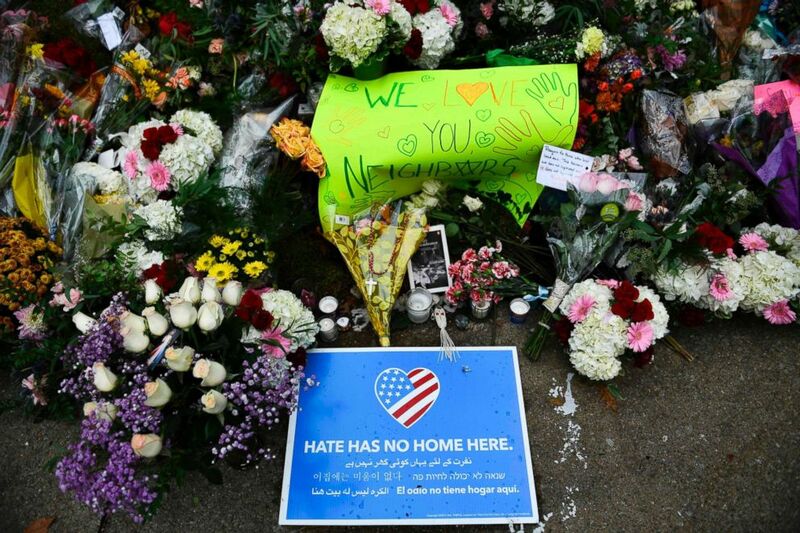 (Brendan Smialowski/AFP/Getty Images) A memorial is seen on Oct. 28, 2018, down the road from the Tree of Life synagogue after a shooting there left 11 people dead in Pittsburgh, Oct. 27, 2018. "We ran and we hid and then we escaped with our lives," Glickman said. "But we lost people -- people who were part of the fabric of not only our congregation but our community. These are people who would do anything for anybody. People who come early to a service are the kind of people who are the kindest, most generous." "We have to stop teaching hate," she stressed. "You're taught to hate and I don't know why we do this. And in fact, we Jews teach our children that they're going to be hated. In every generation, there's somebody who will hate. And you have to deal with it and you have to move on."